Quality dentistry and patient comfort are two sides of the same coin. At All American Smile Dental Studios, we give equal attention to both. By helping patients achieve healthy, beautiful smiles while maintaining their comfort throughout treatment, we often exceed our patients’ expectations. At our offices in Manhattan and Brooklyn, our cosmetic dentist and team maintain a tranquil atmosphere, complete with nitrous oxide and other options to help you feel as relaxed as possible. For advanced, comfort-focused dental care, look no further than Dr. Maurice Benjamin at All American Smile Dental Studios. All American Smile Dental Studios is pleased to offer patients in the New York City area – Borough Park, Sheepshead Bay, Prospect Park, Brooklyn, Manhattan, and beyond – the services of our esteemed cosmetic dentist, Maurice Benjamin, DDS. Dr. Benjamin received his undergraduate degree in chemistry at New York University and then continued his education at N.Y.U. College of Dentistry. After receiving his Doctor of Dental Surgery degree (DDS) from N.Y.U., Dr. Maurice Benjamin furthered his education, attending the Maxi Course on dental implants at Brookdale Hospital. All American Smile Dental Studios is distinguished among New York City implant dentistry practices, since Dr. Benjamin places dental implants on-site, often in just a single visit. The patient thus has the convenience of having all dental procedures performed in a single location. "I have always enjoyed your business and your staff. Keep up the great work. I would always recommend your great service." -Bonnie B.
Dr. Maurice Benjamin has had his own dental practice since 1987, and he strives to remain up-to-date with the latest technological advances. He and the team at All American Smile Dental Studios are committed to making sure that, no matter how complex or how simple the procedure, they provide the same high quality dental care to all of their patients. At both Manhattan and Brooklyn-based offices, our cosmetic dentist and team provide the most sophisticated, comfort-enhanced dental care available. 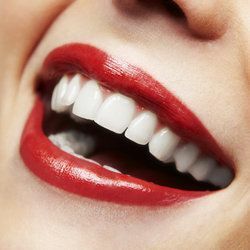 We are known in the New York area, as well as in the surrounding states of New Jersey, Pennsylvania, and Connecticut, for providing excellent comprehensive care: with options including dental implants, porcelain veneers, Invisalign®, and root canal therapy, All American Smile Dental Studios is equipped to meet virtually any dental need. If you need dental care, contact All American Smile Dental Studios today. Serving Manhattan, Brooklyn, and surrounding communities, cosmetic dentist Maurice Benjamin, DDS, and team can restore beauty and functioning to your smile.